Description: Verneh rugs are constructed with a weave known as weft-float brocading, whereas the wefts that form the pattern are supplementary to the ground, which is in plain weave. 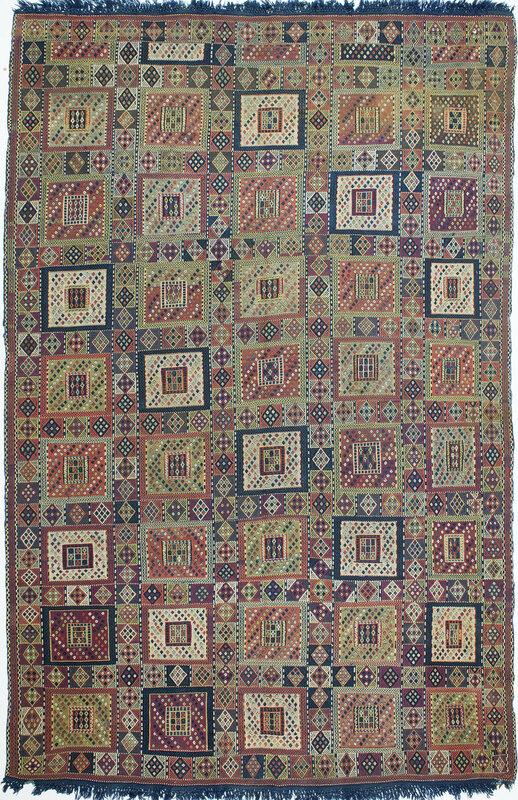 There has been a debate regarding the origins of this type of rug, with some favoring a Caucasian attribution. For a similar example, see Oriental Rugs - Volume 1 Caucasian, by Ian Bennett, page 343, plate 456.